The rectangular bowl has raised feet to allow water to drain underneath. Plant & Lawn Care. Heat resistant to 100°C. What to do if my order goes missing. StewartGibson - Hard wearing - Wipe clean surface - Holds a 10" plate flat in base - Raised feet to allow water to drain underneath - High gloss interior - Comfortable grip handles - Approx dimensions: 38cm x 31cm x 13cm - Colour: Maritime Blue - A wide range of colors available. 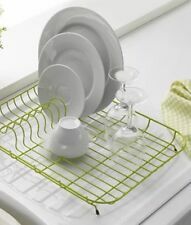 Highly absorbent microfibre technology dries dishes. A drying mat that creates extra drying space around your sink. Colour: Cream. 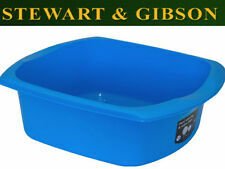 StewartGibson Ltd. - Ideal for Butler sinks, this bowl is tough and durable. - It's large 12 litre volume - Gives you plenty of washing up room - Dimensions of 42 x 33 x 16cm - The bowl has a scratch resistant finish to provide a product that will always look new - Available in three colours so you can coordinate with your kitchen. Stylish rounded design will look great in any kitchen. 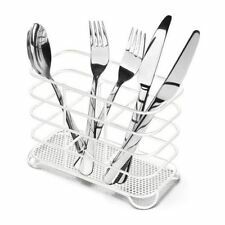 Features two generous flat drying area for cutlery and glasses alongside raised plate holder allowing for up to 9 plates. High quality hard wearing made in the UK. Stewart Gibson Ltd. - 2x levels for kitchen utensils to dry - Plastic feet to protect surface area - Wire design to allow air and water to circulate and drip - Item dimensions without package 33.0 x 26.5 x 42.5 centimeters - Dishes to rest on top tier - Cup, small crockery or kitchen utilities to rest on bottom tier. StewartGibson - Hard wearing - Wipe clean surface - Holds a 10" plate flat in base - Raised feet to allow water to drain underneath - High gloss interior - Comfortable grip handles - Approx dimensions: 38cm x 31cm x 13cm - Colour: Pink - 9.5L Capacity - A wide range of colors available. Protects sink from scratches. Ideal for raising washing up bowl to allow a better flow of water. Colour: Linen. - Terry, Cardiff. Easy to clean. Hard wearing plastic for long life. NEW ADDIS WASHING UP BOWL. Length 38cm. Jade green colour. StewartGibson - Hard wearing - Wipe clean surface - Holds a 10" plate flat in base - Raised feet to allow water to drain underneath - High gloss interior - Comfortable grip handles - Approx dimensions: 38cn x 31cm x 13cm - Colour: Linen - 9.5L Capacity - A wide range of colors available. Comfortable grip handles and raised feet allowing water flow underneath. Colour : Red. Scratch resistant exterior. Ideal for larger Belfast/ butler style sinks, utility uses; bathing Large 12 litre capacity / dimensions w42 x d33 x h17cm Hard wearing, Easy to clean Made in the UK. The round bowl has raised feet to allow water to drain underneath the bowl. Holds a 10" plate flat in base. Heat resistant to 100°C. Hard wearing & wipe clean. Plant & Lawn Care. What to do if my order goes missing. Terry, Cardiff. Comfortable grip handles and raised feet allowing water flow underneath. Scratch resistant exterior. Large 9.5 litre capacity for everyday family use With raised lifting handles for easy movement or pouring Easy to wipe clean finish Made in the UK with 10 year Addis guarantee. StewartGibson - Hard wearing - Wipe clean surface - Holds a 10" plate flat in base - Raised feet to allow water to drain underneath - High gloss interior - Comfortable grip handles - Approx dimensions: 38cm x 31cm x 13cm - Colour: Yellow/Lemon - 9.5L Capacity - A wide range of colors available. New from Addis 2018 part of the new Signature sinkside range. Does have drainage holes in base. Easy to wipe clean finish. What to do if my order goes missing. Comfortable grip handles and raised feet allowing water flow underneath. Colour : Black. Scratch resistant exterior. - Twin material' bowls - Soft touch base to cushion dishes - Non-slip feet - Handle moulded into sides - Wipes clea - Colour: White, Grass Green - Capacity: 9L. NEW ADDIS WASHING UP BOWL NEW DESIGN. Jade green in colour. With handles. Height 14cm. Width 32cm. Comfortable grip handles and raised feet allowing water flow underneath. Colour : Yellow. Scratch resistant exterior. A contemporary styled bowl with a scratch resistant finish, durable and easy to clean. Raised handles for easy lifting. Comfortable grip handles and raised feet allowing water flow underneath. Colour : Teal. Scratch resistant exterior. Comfortable grip handles and raised feet allowing water flow underneath. Colour : Marine Blue. Scratch resistant exterior. - Twin material' bowls - Soft touch base to cushion dishes - Non-slip feet - Handle moulded into sides - Wipes clean - Colour:Black Grey - Capacity: 9L. Comfortable grip handles and raised feet allowing water flow underneath. Colour : Silver. Scratch resistant exterior. ADDIS Soft Touch Washing Up Bowl (Black/Grey). 1 x ADDIS Soft Touch Washing Up Bowl (Black/Grey ). Soft touch base to cushion dishes. Colour : Linen. - Terry, Cardiff. Comfortable grip handles and raised feet allowing water flow underneath. Scratch resistant exterior. Ideal for any kitchen. Made from solid steel. Colour: Red. Ref 556221. 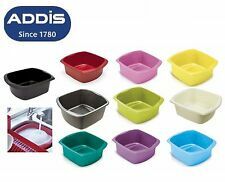 NEW ADDIS WASHING UP DRIP TRAY. Oblong Length 45cm. Clear translucent in colour.